If you don’t hold your breath. Good morning from dreary Vermont. Just south of us, say Boston for example, it is sunny and warm. What makes Lamoille County to sun averse? But let’s turn away from weather and talk computer viruses. I haven’t been able to blog since my Mac got one, actually two. Tim patiently coaxed them out and deleted them, and now I’m free to write again. I’m sorry for the delay. No news on the book front. I’m burying my head in the ocean sand and ignoring the whole situation until I’m forced to come up for air and a reality check. It’s April after all, and Quill Point is due for release in July. Breath holding. It’s not the best thing to do for your health. At the same time, I’ve had years of practice. Today I’m going to tune up the Taylor, learn a few songs, and dig around in my box of Dad’s music. Actually, I’m going to transfer his music from its cardboard box to a storage tub, so the contents will stay dry if we get spring rain creeping into the garage. When I visited my Mom last week, my sister and I started singing–she took the alto. Even though our voices have changed, we still harmonize so well. My sisters and I, we’ve been singing together for fifty years. It’s as natural as breathing to us, well, if you don’t hold your breath. Don’t you all think it’s time for flowers? Check back next week for another segment of Finding Home. Good morning from sunny, brisk Vermont. Perhaps this last round of snow will be our last, as April approaches. I’m tired of boots and gloves and snowy dog coats. I imagine the skiers are happy. This morning I started making some simple adjustments to this blog to make it more usable to screen readers, so you’ll see some changes. I’ve yards left to do and figure out. Like how to make this text stand out more. A work in progress. I can’t tell you more than this, because the actual agreement is confidential; our obligations to Schoolside, are old house in Hyde Park, are done–the papers are signed, and all has ended very well for us. This heavy weight that has been on our backs for the last three plus years is off and gone. I walk with a lighter step, even with my winter boots. I finally downloaded all of my iPad photos onto this laptop, so you’ll be seeing some new glimpses of life in and out of Soft Landing. The one I’ll include today is the start of my mini-conservatory, with my indoor plants resting on tiles. Is doesn’t hurt to pretend that I’m in the Cotswalds in my cottage conservatory sipping tea, does it? No news regarding my book, so I’m holding onto the last message I received from the publisher that it is still coming out in July. I think I’ll try to have a signing event at the local library and then ask one of the stores in Morrisville to stock them for me. That way it will be easier for my local readers to grab a copy. Thanks for all of your responses. I still have not figured out how to send a response through WordPress, but perhaps as I’m making adjustments, something will jump out at me. Check back next week for another segment of Finding Home. It all comes out even. Good morning from snowy, cold Vermont. Yesterday, the weather was warm enough that I got a huge jolt of Spring energy. I used a bit of it to lug my planters into my wagon and place it on the side of our walkway, and I brought out our two porch chairs and little table. Best of all, Scout and I sat outside on the bench with our faces to the sun. That was a good time. Today we drive to Plymouth, Massachusetts for Liv’s volleyball tournament tomorrow. I haven’t seen her play since last fall, so I’m looking forward to watching her play the sport she loves. And I get time with Tim–we travel well together. Perhaps we’ll scoot away from the gym to stand at the ocean. These days I’m thinking a lot about moving to Maine. I peruse the jobsinmaine website, and look for three-bedroom condos to rent. That’s my idea of surfing the net. I find these wonderful deals only to realize they are way North on the Canadian border. I suspect when it is really the time to look, something will open up. Just like Soft Landing did. I’m also thinking about refitted vans or tiny houses for Serena. I could spin a tale so fine about her living that kind of life. For Christmas, my friend Kathy gave me a set of beautiful soft, yellow placemats with floral napkins to match. I had no plates to match them, so I decided I would get some deep blue Fiesta dishes for my birthday. But that was just one more purchase. Instead, I stopped at our local Resource store and found a set of beautiful hand-painted luncheon plates, cream colored with green leaves and black stems. The print reminds me of Japanese art. Anyway, they are stunning with the placemats. Total spent? $8.40, about the cost of one new Fiesta plate. Now I can bring our set of Melamine plates to our favorite thrift store. It all comes out even. That’s it for this morning. I leave you with this sweet picture of the inside of a tiny house. Wouldn’t you like to live there? Check back next week for another segment of Finding Home. Bullet points for my future life. Good morning from another blizzardy day in Vermont. Winter’s hard landing in November is wreaking havoc with the minds and hearts of us summer people. But what else is there to do but put our boots on for yet another precarious drive to work and keep hoping for Spring? Perhaps I’m feeling low this particular morning because we’ve forwarded the clocks and I’m out of time regarding today’s responsibilities. As if this one hour could make a difference on all the things in my bucket list. Because that bucket list I never made? Well, as I get older, it’s making itself. Like learning to sew and crochet. Traveling across Europe and Canada and the United States. Regularly writing significant letters to the people I love. Excelling at singing and playing the guitar and ukulele. Learning to play the harp and piano. Joining a band. Learning all the Romance languages. Finishing my wedding album, rug braiding, and autobiography projects. All of a sudden (it seems) I have bullet points for my future life, and many of them aren’t realistic. Is that a part of growing older? 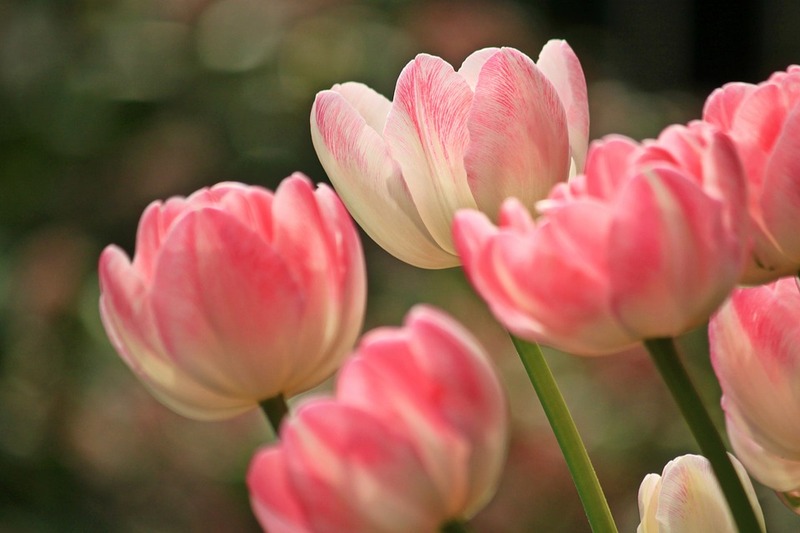 Does regret at time lost and/or wasted bloom and sharpen after fifty? Good morning from slightly warm, slightly sunny Vermont. Today my blog is all about our visit to New York City. The big picture? We had a wonderful trip. But here are some small pictures. Hell’s Kitchen, now gentrified (at least the part we saw). Brick residential buildings in the distance, shops and eateries beckoning passersby. We stepped into a Japanese restaurant for ramen and listened to our table neighbors slurping their portions to get the maximum amount of air for heightened taste. We stopped at a higher-end thrift shop as well. Thrifting is alive and well in NYC. We toured the garment district, and my friend and her brother got lost in the beautiful bolts of fabric, rows and rows of them, ready to turn into skirts, pants, dresses, and vests. One particular bolt drew me to it. I touched its quirky black and blue pattern, and quickly pulled my hand away when our tour guide informed me it was $100 a yard. My friend bested me though. She touched fabric that was $269 a yard. Brave, wasn’t she? Macy’s. The Empire State Building. Time’s Square. The Rockefeller Center and its iconic skating rink. The New York Times Building. St. Patrick’s Cathedral. The Flatiron Building. Trump Tower. 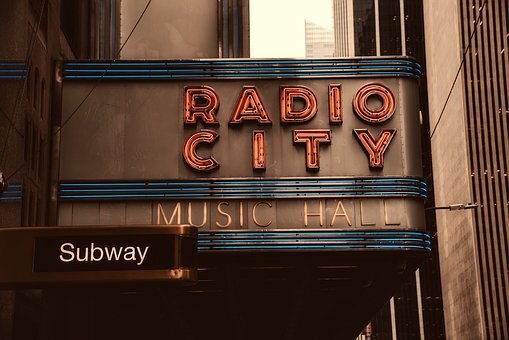 Radio City Music Hall. City Bakery, where we had the best hot chocolate of our lives. Outside, it was brutal and bitter cold. Still we walked, up and down avenues and streets. We walked until we were practically lame. We thrifted more–I found a sweater and work shoes. On a whim, my friend drew us into a tea shop, where we experienced a proper Chinese tea. Waking up the tea pot, waking up the buffalo, with gentle hands always. Our tea leaves came from a 500-year old tree. I never saw that before in Vermont. And then the grand finale, attending the New Jersey Symphony for Bach and Ravel. The music and musicians memorized me. At the end, as we were clapping and clapping, I waited for an encore. But no. I wrenched myself from the magic and smiled all the way home. My friend and I, in the car from and to Vermont, we talked and talked about everything you could imagine, while Livia Miri hung out in the back sketching beautiful pictures of ladies’ faces and flowers. Every now and then she’d pipe up. This was a trip stitched with memories that will hold for years. I am so grateful to have spent this special time with my daughter, my dear friend, and her family. What will our next adventure be? Good morning from sleety Vermont. Behind me, the frozen bits are tapping at the window. Otherwise, as the family is still sleeping, all is quiet. I didn’t blog last week because I was in Maine celebrating my brother-in-law’s birthday. Tim and I had such a good time, just the two of us. Our welcome was warm and wonderful, and I even came home with treats, one being a well-seasoned Radio Flyer wagon to hold my summer planters. Wait ’til you see it. This week Livia Miri and I are heading to the Big Apple. I’ve been googling thrift stores in Manhattan and will pick three or four possibilities today. There are at least a million, and I have no idea where they are in relation to everything else. And how long does it take to get from one avenue to the next? What about all those cross-streets? Hopefully my friend’s brother will act as tour guide, because otherwise we’ll be three disoriented tourists relying on the kindness of strangers, a map, and potentially a GPS on Liv’s phone. I heard from my publisher again, and Quill Point will be published on July 30th, with a three-month marketing push before then. After it comes out, I’m turning my attention to a project I started about five years ago and haven’t touched since. It’s an autobiography of sorts created from the cut-out excerpts of my many diaries and journals. I want to leave it for my grandchildren and their children. I want to leave a record of myself, something to say, “I was here!” I’ve got ticket stubs, small packets of rubber bands that I used when I had braces, funeral and wedding programs–I guess you’d call it a mash up, if that’s a term. I started keeping a diary when I was in seventh grade, so I have so much material to go through. What I don’t use, I’ll shred and recycle. I’d also like to finish our wedding album. After I finished the first few pages–I think I was up to the wedding rehearsal–I found out I was pregnant, and well, I never got back to it. So With Regards, Stella Ramone will have to wait until after I’ve tidied up. That will do for today. Check back next week for another segment of Finding Home. How to switch over from one theme to another remains in the sphere of magic. Perhaps my friend Katie Robinson will help me do the conversion. If I end up self publishing, I’ll hire Katie to get me through the process, step by step. But before I go that route, I’ve decided to leave Quill Point in the hands of Curiosity Quills for a while longer. I heard from Eugene, the co-owner, and he said, though there were no guarantees that the business would continue, if I stayed with him and CQ, he would make an exception and publish Quill Point in book form. Since my book wasn’t due out until July anyway, I’ve decided to give CQ until then to make it happen. Meanwhile, it will give me time to raise the money to hire Katie if CQ folds. It seems like a sensible plan. Friday spring arrived, just for the day. With the warmer weather and the sun, I felt full of energy. I moved furniture around, sorted, and hoed out–I bagged up all of my worn out clothes and shoes and sent them off to Good Will. I was so happy! I’m a child of spring and summer, that’s for sure. Still, except for driving conditions, this winter hasn’t been so bad. Mrs. Potts, Soft Landing, my job, my family and friends and hobbies–all have combined to support me in this gray, often relentless winter. As my girls say, I’m good. Next Saturday we’ll take a quick trip to the coast to celebrate my brother-in-law’s birthday. I can’t wait to see him and his wife in their new home. And I can’t wait to see the water. That’s all for now. Check back next week for another segment of Finding Home. Hello from gray Vermont. I’m writing from our bedroom nook, with a dog on my lap and my body turned at a crooked angle so I can type over his head. Lap dogs must be accommodated. I heard from my publisher. I’ll have to reread his email a few times, but I think he’ll make an acceptation to publish Quill Point as a book if I stick with Curiosity Quills. He’s also happy to reverse my rights. So now I need to think things through. What’s best? What’s the least risk and stress for the most benefit? Meanwhile, this morning I brought Miri to a high school parking lot and she practiced driving, parking, backing in and out, yielding, and turning her blinkers on. She did great, especially since the roads around the school were snow covered and slick. Next week we return to the school for a refresher, and then we and Mrs. Potts will hit the road, as they say, and she’ll drive from the school to my mom’s house. Our hope is that she’ll have her license by summer. As parents, we have lagged in this regard. Now that it’s February, I’m looking ahead to our trip to New York City. You’ll remember the night we arrive, we’ll be attending the symphony. Serena googled what to wear to a symphony, and it turns out that it depends on what seats you have. For the fancy seats, you wear fancy attire. For the regular seats, you wear regular clothes. I think we’ll be in the regular section, so I’ll wear a nice work outfit. That should do. Now I must get ready for work and then head to my mom’s to visit before my shift starts. I wish you all a good week, especially on these crazy winter roads. I leave you with a photo that Miri took of her sister in the fall.